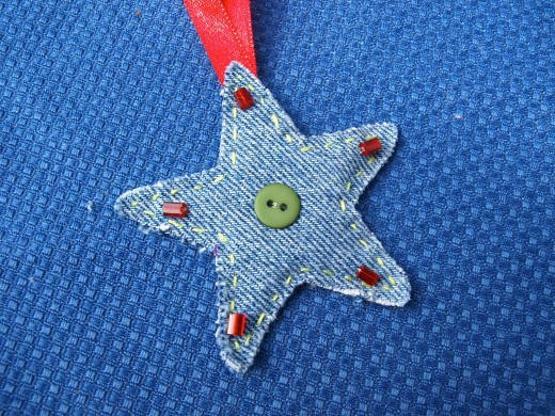 Recycling old jeans for handmade Christmas decorations feels terrific. 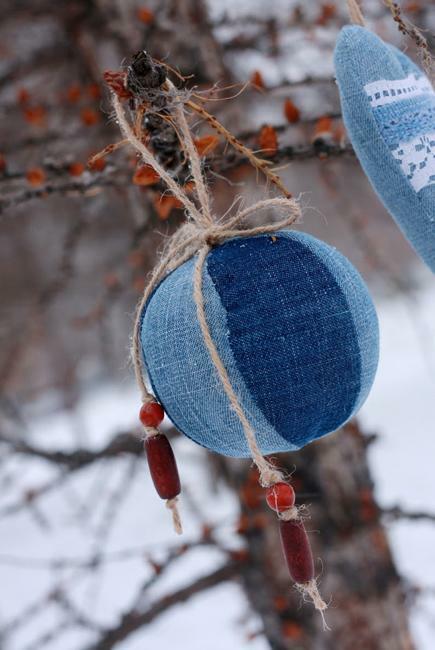 By recycling worn denim fabric into something unique and beautiful, you can create fabulous accents for your Green holiday decor. 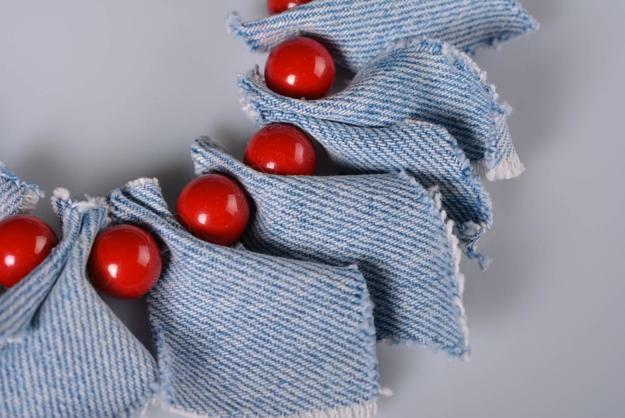 Denim recycling keeps textile waste out of landfills and helps with Green efforts in communities around the world. 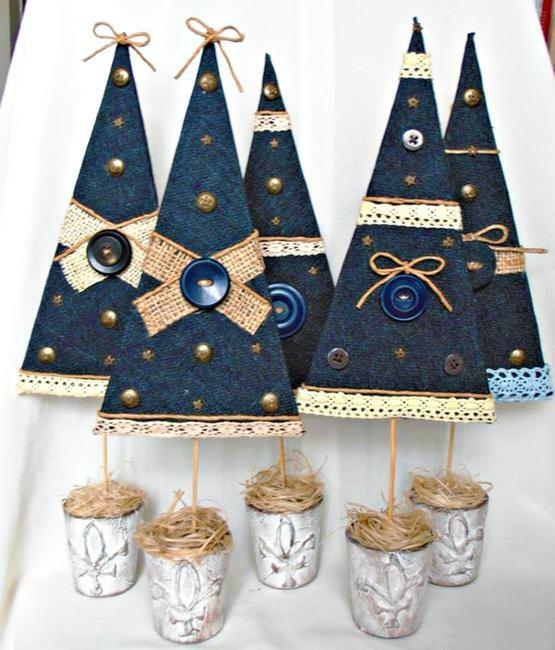 Here are inspiring winter craft ideas you can steal to design similar Christmas decorations for your beautiful holiday home. 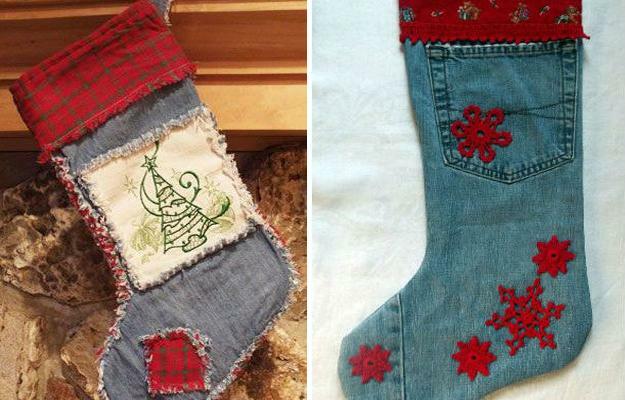 Old jeans offer beautiful fabrics for crafts. 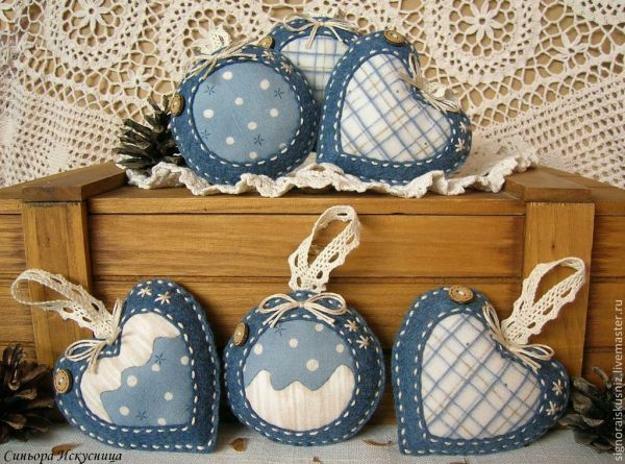 It is hard to throw them away. 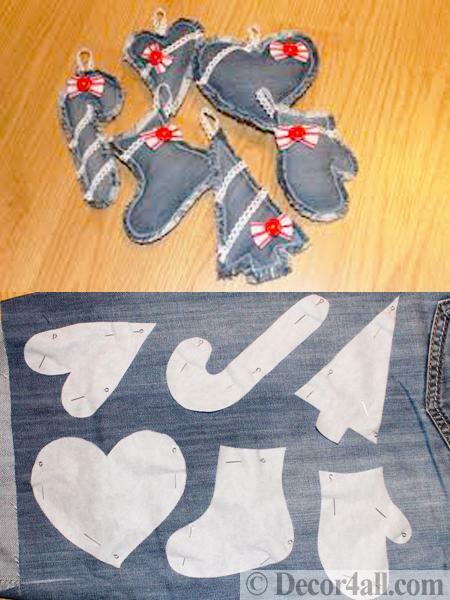 Denim is a thick and sturdy fabric that looks great and recycles into beautiful designs, spectacular artworks, and many other useful things. 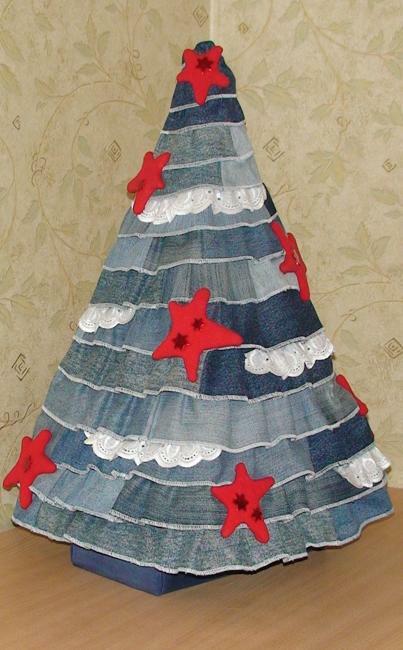 Heavy denim fabrics and light old jeans are perfect for recycling turning useless into beautiful and original Christmas decorations. 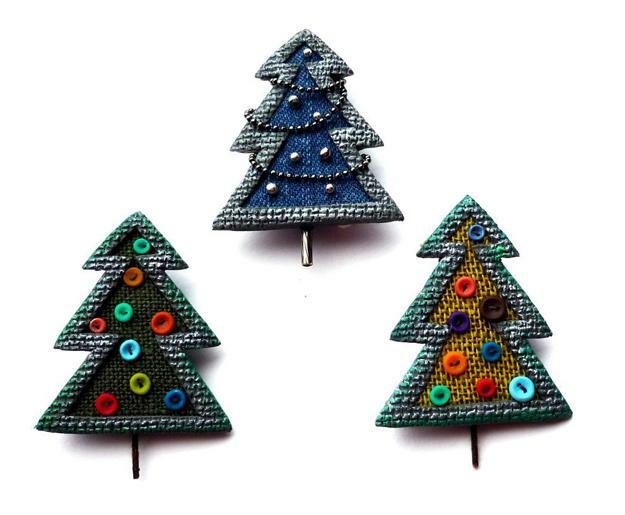 Browsing around online can inspire you to start collecting Christmas craft ideas and using them for making unique gifts and Christmas tree decorations. 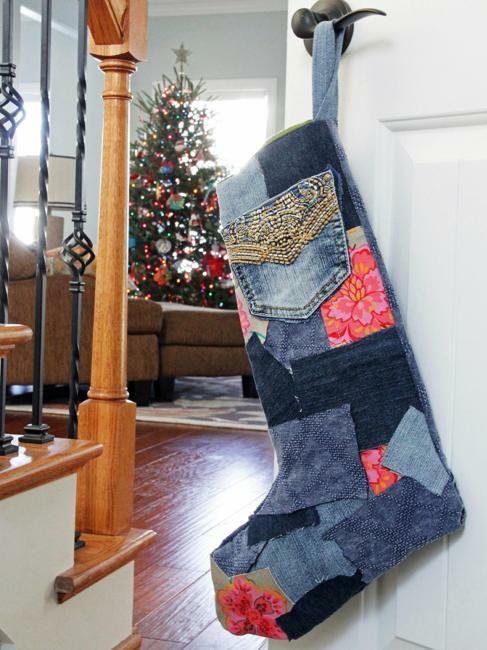 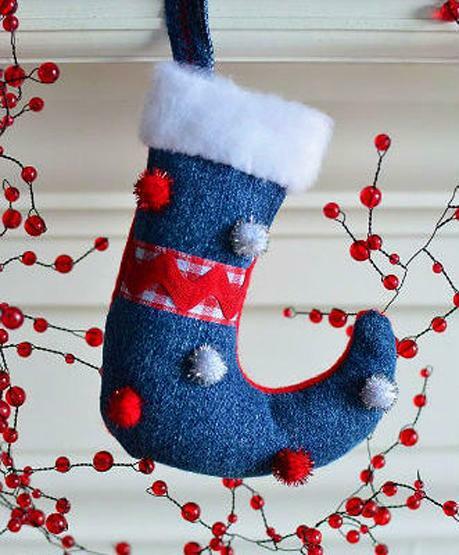 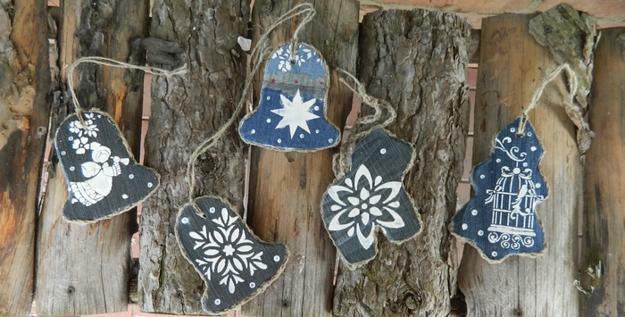 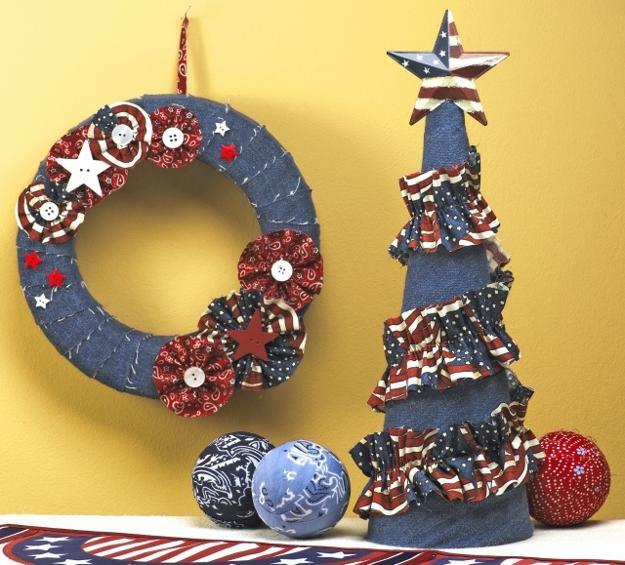 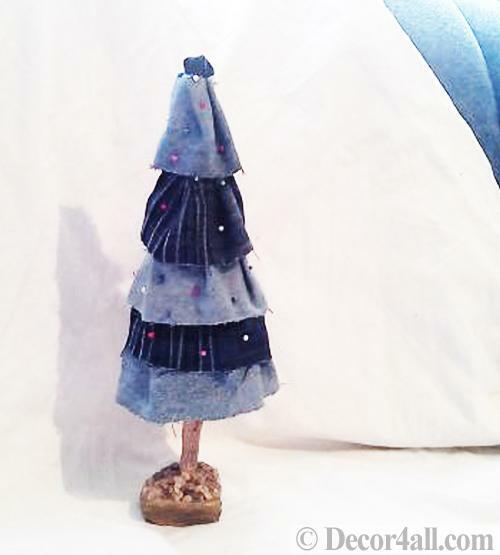 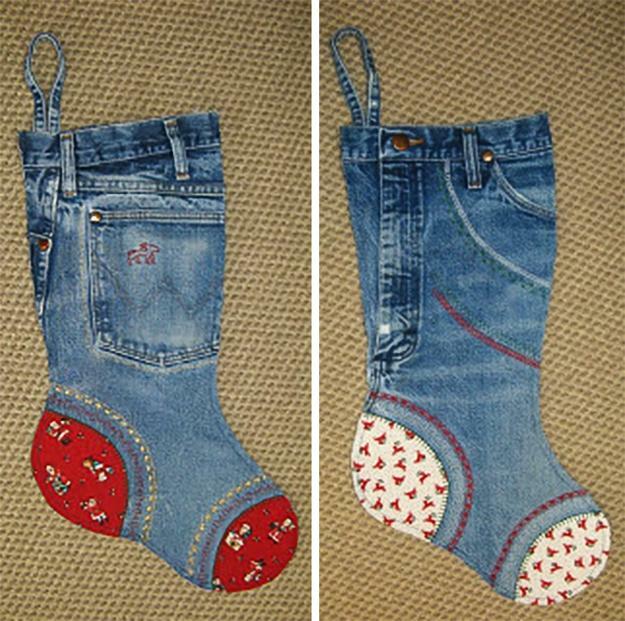 Denim wreaths, garlands, Christmas tree ornaments, stockings are just a few favorite craft ideas for recycling old jeans. 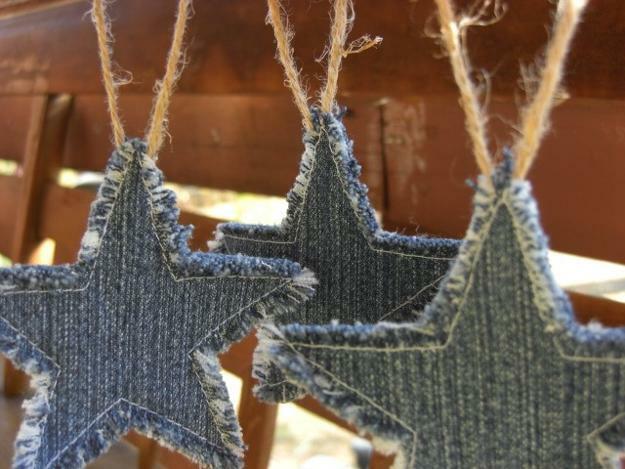 There are many smart ways to recycle denim pants, like turning it to house insulation, new clothes, room furniture, decor accessories, lampshades, and bags, and handmade Christmas decorations are one of the easiest of them. 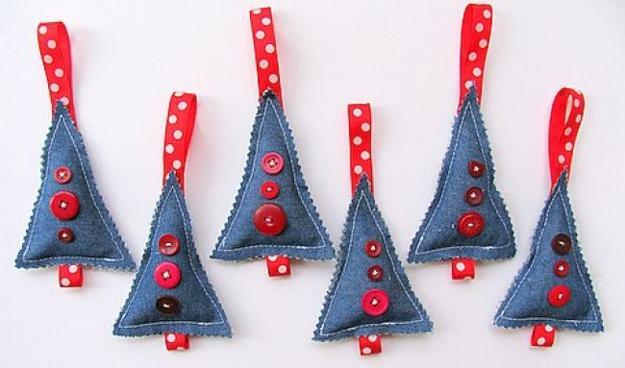 Anyone can make Christmas tree decorations. 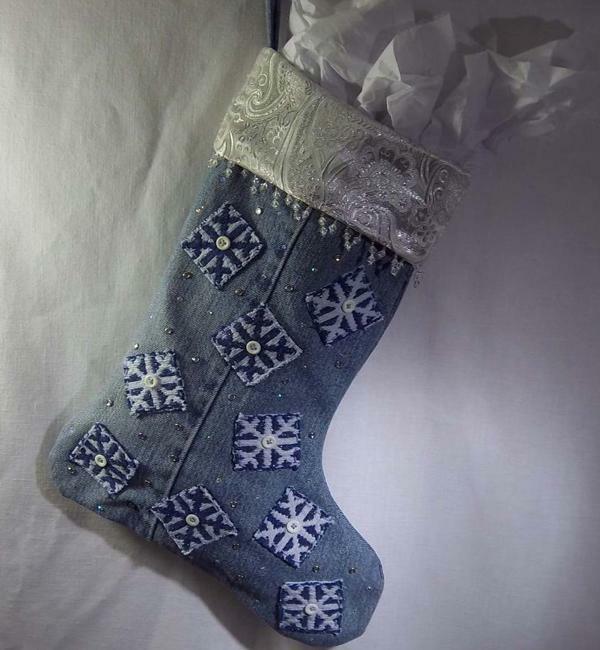 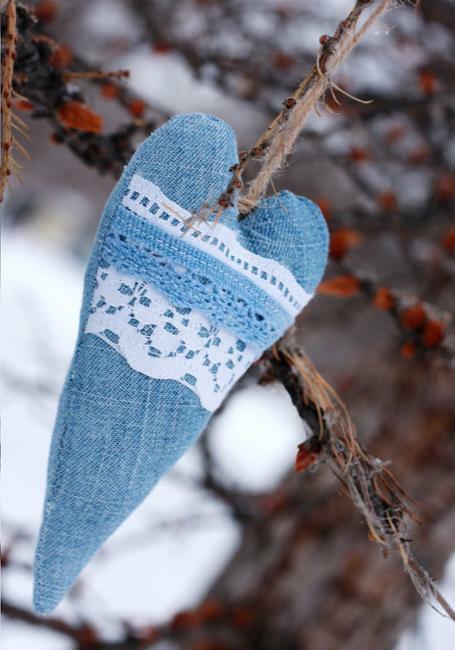 Denim fabric, burlap, lace, ribbons, beads, and buttons can create fantastic ornament designs. 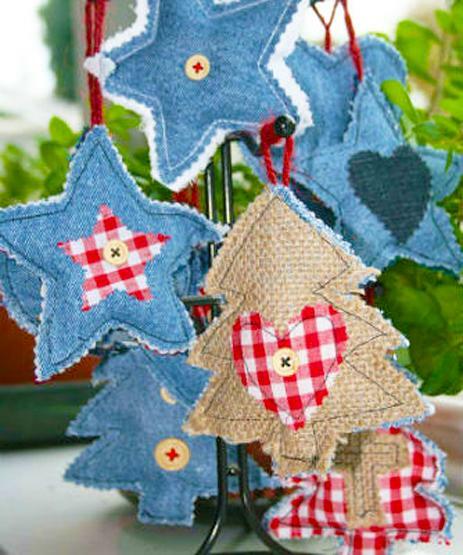 Unleash your imagination, and get inspired by the Green decor ideas, and turn Christmas decoration into your exciting eco-friendly project.